Children at Bright Kids in Crabbs Cross were visited by a local PCSO on Monday 15th September. PCSO Clive Rainbow popped into nursery to talk to pre-school children about ‘Stranger Danger’ and the importance of holding hands when they leave nursery. And one lucky boy even got to sit in the PCSO’s car! 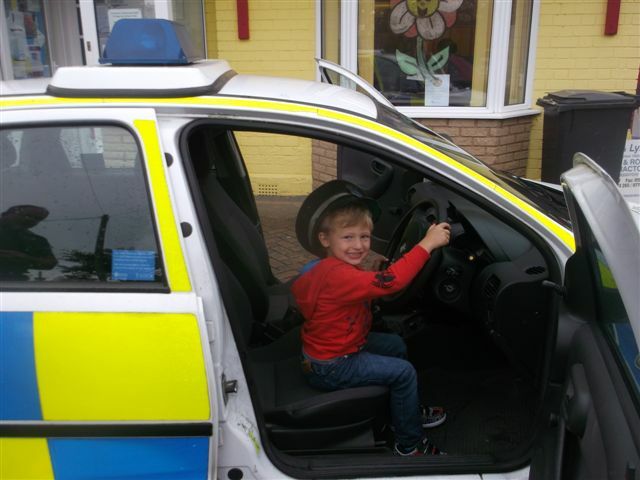 Pictured is Jamie Merricks, age 3, enjoying being a police officer!